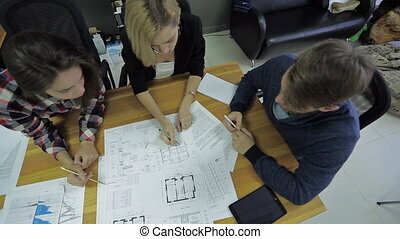 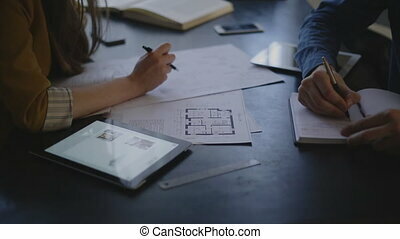 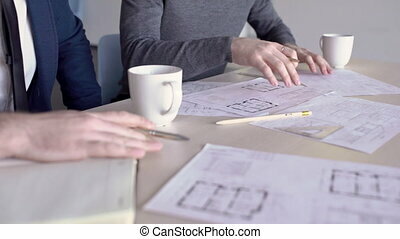 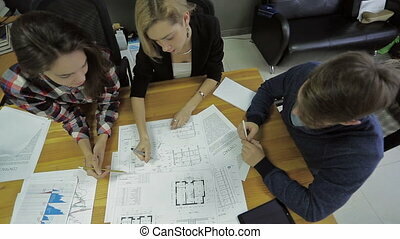 Customer Project Is A Project Architect In Her Office And Discuss His Blueprint House Building. 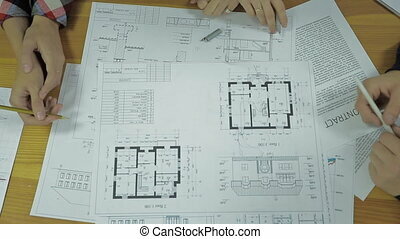 The two architechts discuss the development of the building plan in the office. 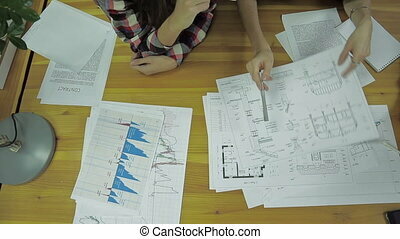 The female specialist is streaking the line using ruler and pencil and showes it to her male colleague. 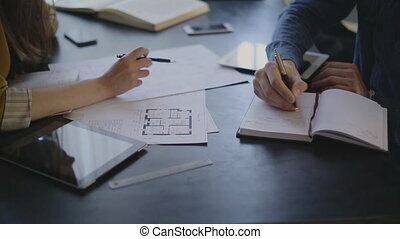 The man protracts some lines by his pencil. 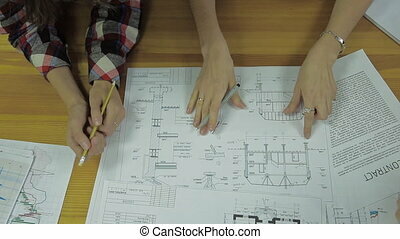 Two architects are working together on building blueprints on the table. 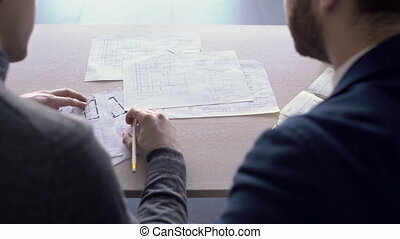 Men are sitting at the wooden desk with paper schemes and notebook on and discussing the corrections, which the professional in grey jumper is doing using ruler and pencil in his hands with golden ring on the finger.